You have just bought the new iPhone 7 Plus, the top most model with highest capacity of 256 GB in the gold finish for almost $1000. And you feel this is not enough, you need something more to up its luxury quotient! Louis Vuitton is at your service, as the French luxury house has launched Eye-Trunk for iPhone 7 Plus in precious Golden Crocodile leather. Nothing can make your latest Apple possession more glamorous than the newest, the shiniest and the priciest iPhone case from Louis Vuitton. The $5,500 Eye-Trunk was showcased at the recent Louis Vuitton Fashion Show in Paris and was most awaited by well-heeled Apple fans. Designed by Nicolas Ghesquière, to pay tribute to the fashion house’s origins as a trunk designer, it is the ultimate fashionable accessory of the season. 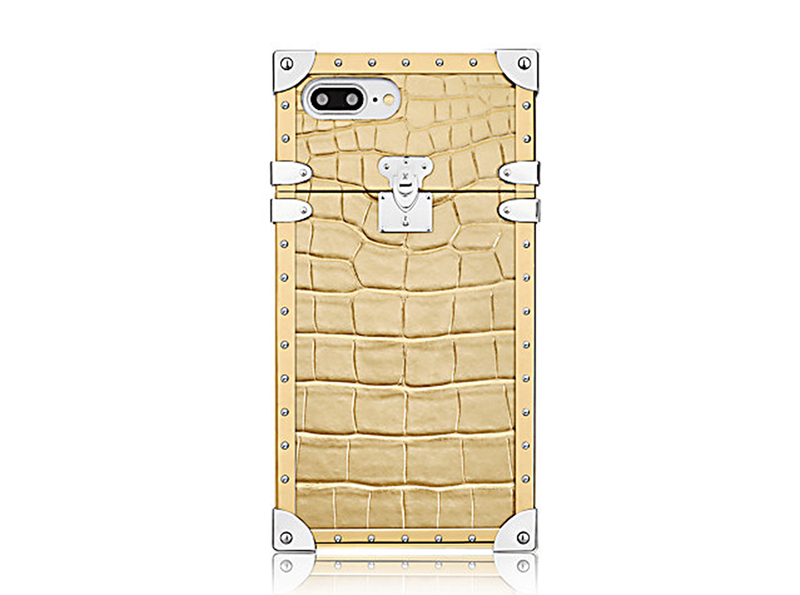 Of course, more than just a protective cover, this LV trunk styled case with hard corners is designed to augment the value of the most expensive iPhone handset sold by Apple. Simple calculations make it clear that the cost of the Gold Eye-Trunk is over five times more than the phone it is designed to protect. The other monogram versions (traditional Monogram, Monogram Reverse and Monogram Eclipse) are also available for $1,180 for the iPhone 7 and $1,250 for the 7 Plus. The gold crocodile edition for iPhone 7 is up for $5,050.